The place of science in modern life is secure. It has brought us the electric light bulb, the polio vaccine, space travel, strawberries in January, heart stents, homes with year-round climate control, and modes of travel that would defy the imagination of our great-grandparents. Not to mention numerous other things—such as the ability to stand on the back porch and speak wirelessly to someone high in the Himalayan mountains, say in Kathmandu. Even so, and even within the scientific community, there is an uneasiness about the place of science in contemporary culture. An unease expressed recently by the senior editor of the science journal Nature in a controversial piece written for The Guardian. Henry Gee is frustrated about the quality of science education and the timid stance of most scientific journalism. But it’s the role of the scientist and science in our modern world that is at the heart of his worries. Has science become a religion and scientists its high priests? Why do we … demand such definitive truths of science, but are happy to have all other spheres of human activity wallow in mess and muddle? [T]hose who are scientists, or who pretend to be scientists, cling to the mantle of a kind of religious authority. And as anyone who has tried to comment on religion has discovered, there is no such thing as criticism. There is only blasphemy. Just a year ago, Jeff Forshaw, professor at the School of Physics and Astronomy at the University of Manchester, raised similar concerns, also in The Guardian. By overstating science’s power and not acknowledging its limitations, we risk fostering the growth of a religion-substitute, with the scientists as high priests. Such hubris not only irritates people, but more significantly it risks promoting the misconception that science deals with certainty – and that is the very antithesis of good science. Science, which advances through the weight of evidence, is inherently uncertain. Sometimes, the evidence is so overwhelming that it would be unreasonable to doubt it; at other times, it is equivocal and harder to interpret. The view of science critiqued by these two writers is best described as “scientism”—an overreaching ideology that goes beyond the trial and error out-working of the scientific method, which continues to produce many good things. Scientism claims that science alone can provide truth about the world and reality. And in the ethical and societal realms, scientific research is seen as the only resource for determining how best to order society. Over a half-century ago C. S. Lewis anticipated the rise of this increasingly dominant worldview. He dealt with it philosophically in The Abolition of Man. It is the main theme of That Hideous Strength, the third volume his space novels. Reading and rereading these two books is essential for any Christian seeking wisdom for living and witnessing in a culture shaped by science and technology. 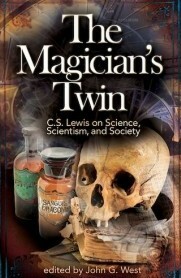 A very helpful companion to Lewis’s books is a recent documentary, The Magician’s Twin: C.S. Lewis on Science, Scientism, and Society, produced by the Discovery Institute. The producers see Lewis as prophetic in his warnings that “modern science—a good thing—could be hijacked to attack faith, undermine ethics, and limit human freedom.” Most importantly, they illustrate areas of concern with examples from contemporary culture. “Science: the religion that must not be questioned” by Henry Gee can be found here. “Science and religion are united in a shared sense of wonder” by Dr. Jeff Forshaw is available here. The Magician’s Twin: C.S. Lewis and the Case against Scientism, the documentary, can be found here. The companion book by the same title can be found here.